A fantastic period accessory to add to your striking Renaissance fair or historical re-enactment apparel, the Einar Belt is crafted from leather uppers and brass. The leather belt was cut from a single piece of thick leather adorned with nine brass plates along its length. Another cast brass piece decorates the tip of the strap. These brass elements display eye-catching knotwork patterns that pair well with the ancient animal head design of the brass buckle. This belt comes unpunched and ready for customization (this means it lacks belt holes). 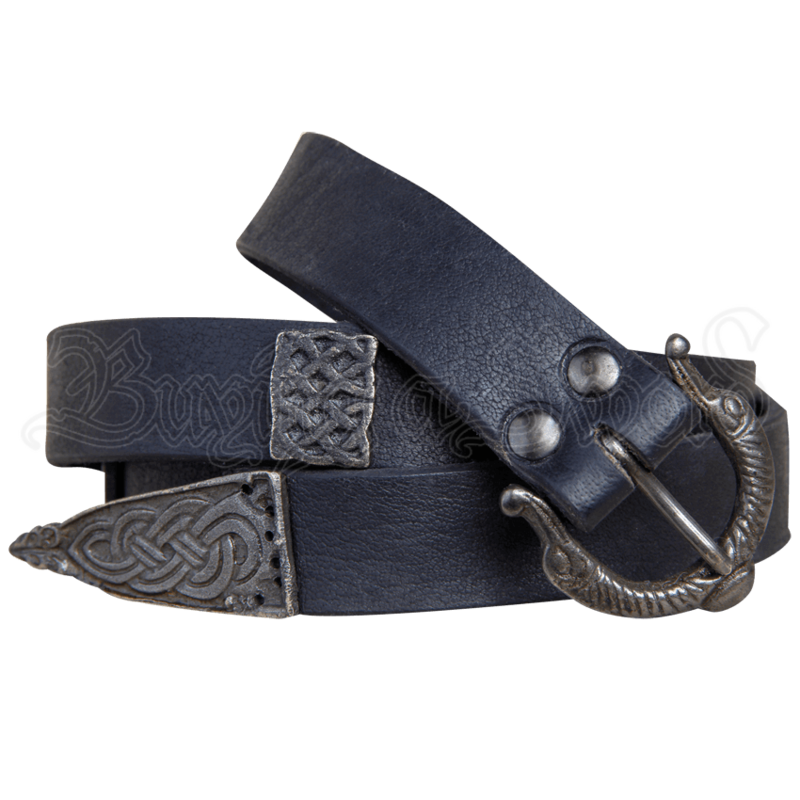 Perfect for Viking warriors, this medieval belt serves as a fantastic finishing touch to your look. The buckle belt is available in black or brown color options.